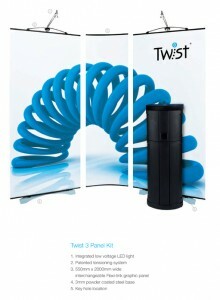 The Twist banner stand is a unique linkable display wall. 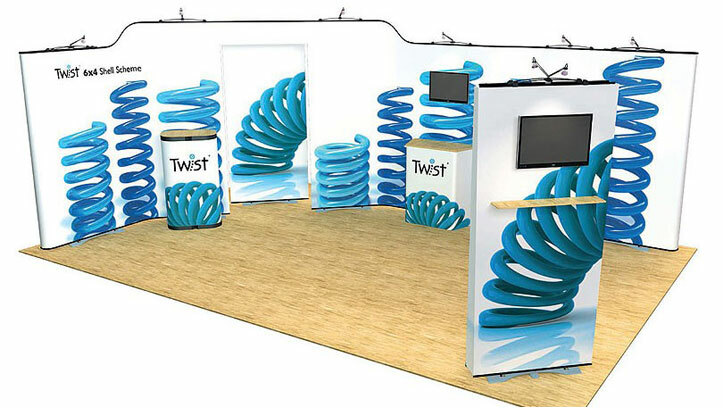 Twist is the most flexible, portable, modular exhibition display system in the world. the opportunities available with the Twist system are endless. 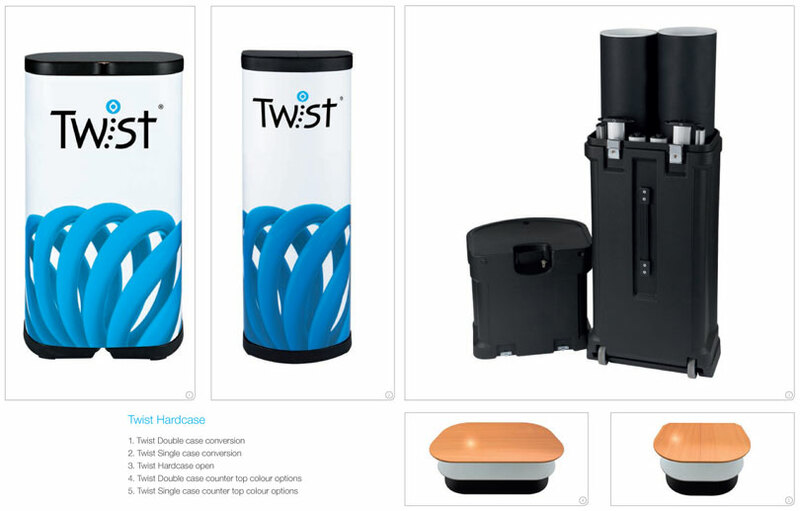 Designed and manufactured in the UK, the Twist range brings a new dimension to the world of display graphics. Stylish design, high quality manufacture and a high degree of flexibility make this range a real alternative to both pull-up and pop-up systems. 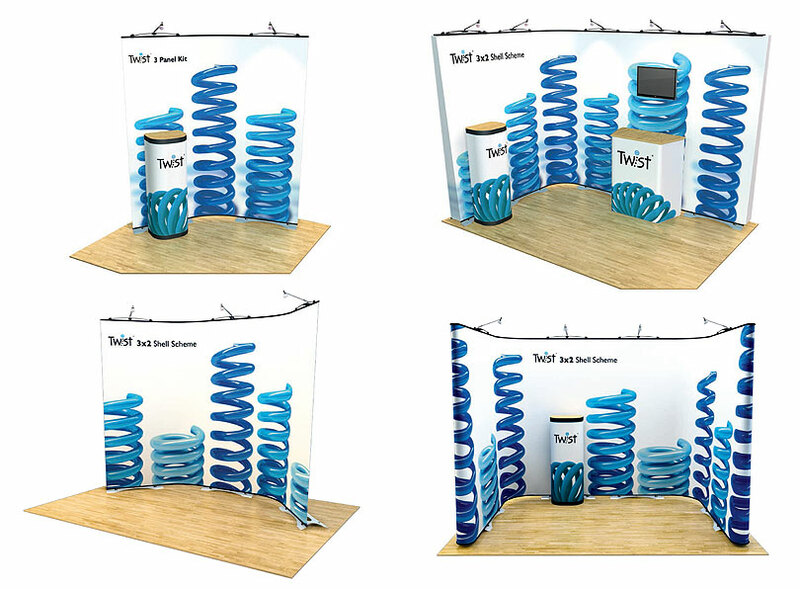 By linking two or more TWIST banner stands together, it is possible to create a true seamless image. Due to the stable nature of the stand, you can create a straight graphic wall in excess of 10 metres long if required. Even if the floor is uneven, all of the panels will remain level. To form a graphic wall, simply attach magnetic tape to the back of each graphic panel down both sides. graphic and slide them into those on the adjacent graphic. Once in place, attach the three magnetic bars (also supplied as part of the EASI-LINK kit) to the rear of the graphic – it’s that simple. high. Total height of system including graphic is 2130mm. Link each display together for a true seamless graphic wall. Allows curved or straight walls to be created. Comes with integrated lighting as standard. 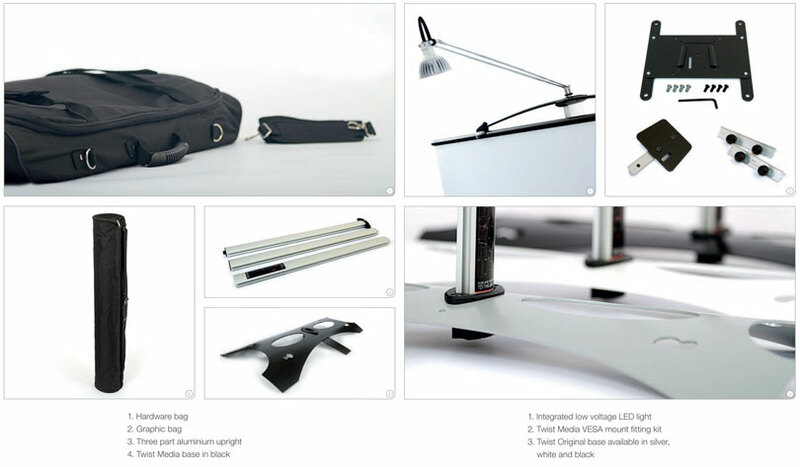 Literature stand and monitor bracket available.